Committing to the piano begins an amazing journey. For the improvising musician it’s beyond exciting, given that the textural, registral, timbral and polyphonic capabilities of the instrument are infinite. Of course the piano is not without certain sound and timbral limitations. 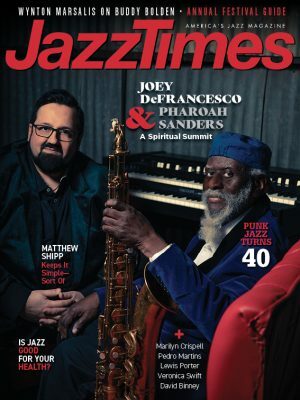 The breath, sustain and vibrato in melodic lines that vocalists and woodwind players possess, and the ability to provide the depth of sound and rhythmic clarity that come with being a great bass player, have become hallmarks of the jazz organ sound that can help a pianist reinterpret the limitations of the 88s. With its focus on accompaniment in a jazz setting, the organ reminds us as keyboardists of some very simple and beautiful aspects of music-making. But any pianist interested in playing organ (particularly the Hammond B-3) will face certain musical challenges, beyond the physical setting of a new instrument. Let’s talk about some of the most important skills you’ll need to obtain, all the while remembering some of my favorite words of encouragement: Nothing in life is difficult, just unfamiliar. With a certain amount of time and dedication, anything can be accomplished. Most of the time, our primary role as jazz organists is to provide a solid and swinging foundation as the bass player for the ensemble. So your first task as a new organist is to concentrate on studying basslines and everything about them. Listen, listen, listen to the greats and to your favorites-not just to organists but to the great bassists as well, as they will inspire you to create lines that, as keyboardists, don’t just fall under our fingers. This can lead to the creation of other melodic paths through changes, different from those we might typically play. The bassline is, as the great bassist Ray Brown said, the “bass melody” of the tune. Treat it with the same amount of respect given a song’s main melody. Don’t worry about the pedals at first. I have talked to many pianists who never try the organ because they think playing the pedals well is an unattainable goal. Not true. From the great Jimmy Smith up until today, the bass sound, for the most part, has come from the left hand, so even without an actual B3 you can practice playing melodic basslines and making sure your quarter-note pulse is strong. The pedals will add some essential attack and percussiveness to the sound later. Of course, it will feel different on the actual organ when you make the transition because the action is different. Rhythmic pick-up notes, ghosted notes and the amount of separation between the notes you play (the original meaning of “staccato”) will all become concerns you will deal with in detail to really help the line swing. As the organist you’ll finally get to experience the role of the bass player as the core of the rhythm section. You get to play and feel every quarter note with the drums and, particularly, the ride cymbal. There’s nothing quite like the connection between the bass and ride cymbal, and when “hooked up”-playing quarter notes together and in the same way-it can offer some of the most beautiful and fulfilling musical experiences out there. The basic rule here is to keep it simple. The organ has unlimited sustain, and the Leslie speaker and vibrato feature provide the illusion of breath. Start slow, always maintaining the solidity of the bass role, and play simple melodies over your bassline, gradually increasing the speed as necessary, “singing” your melodies with the right hand using that beautiful sustain, trying your hardest not to compromise the time or feel of the bassline. You’ll know when you aren’t quite coordinated: Things won’t feel right. With comping, two-note chords in a simple Charleston rhythm in the right hand, rhythmically coordinated with your bassline, can provide more than enough musical material behind a soloist. The thick, juicy chords that sound great on the piano can be temporarily retired. With all of its drawbars adding harmonics and octaves to every note, simplicity is key when building chords on the organ. Two-note intervallic playing, simple triads and chords in fourths all sound full and resonate very well on the Hammond. In closing, whether you become a gigging organist or not, practicing the instrument will increase your musical abilities as a pianist. Working on a quarter-note bass feel and the content and lyricism in the melodies of both your basslines and solos can help you home in on musical clarity and intent-two of the most important elements in music performance, no matter the instrument. 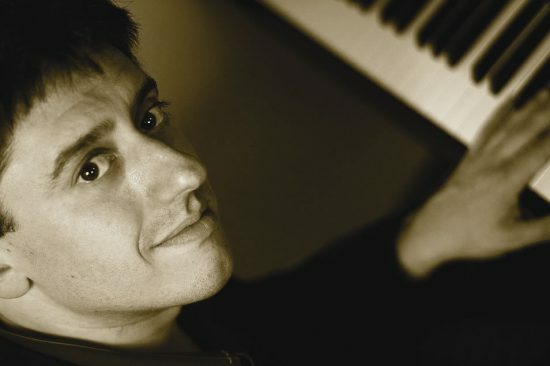 Gary Versace’s upcoming credits include albums featuring him on both piano and organ with Kurt Elling, as the pianist in Ralph Alessi’s Baida Quartet, and as an accordionist with the Maria Schneider Orchestra. Visit him online at garyversace.com.